Africa (MNN) – There are a number of challenges facing Africa that have been ongoing for a long, long time—famine, war, unstable governments, terrorism. But in the horn of Africa and Ethiopia, these problems are particularly prevalent. Helen Williams of World Missionary Press says these same challenges that make life difficult in this part of the world also make their work to resource the Church difficult and sometimes impossible. 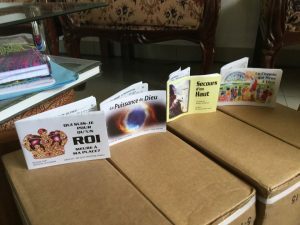 Over the years, the opportunities to distribute Scripture booklets through their partners has fluctuated. But today, the ministry rejoices in the fact that ministry opportunities have opened up once more. In Ethiopia, they’ve established a new connection. This new contact is excited to begin and to expand the work going on in the region. Eritrea, in particular, is a dangerous place for Christian activity. In fact, the country falls into 10th place on the Open Doors’ World Watch List which ranks the nations where believers face the most persecution. Williams recalls recent stories of Christians being arrested for passing out Christian literature and even for praying together. 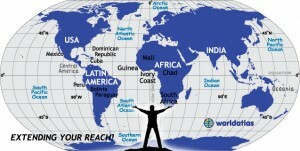 The contact to distribute Scripture materials through this network to the various nations. And in Williams opinion, the need for the Gospel is greater than ever. The booklets will be in local languages so that people can truly understand what they’re reading. Williams says while people might view this part of the world as nothing but trouble, believers need to recognize that God is moving, and he is making a way for his Word to be known. So much of that happens through God’s children willing to serve him whether on the field or behind the frontlines through prayer and giving. Williams says she believes God will honor the work of believers who have been mobilized and that villages will turn from violence to peace, solving much of the problems that conflict creates. World Missionary Press is shipping enough booklets to reach a million or more people in this part of the world. A partner has also donated 1000 New Testaments in a local language. “There’s nothing else that can touch a heart as much as seeing people change because of the Word and the change that God makes in the heart,” Williams says. This moment in history is their chance to be a part of that happening in this part of Africa. And you can be a part of that. Williams says specific prayer is powerful—as you learn more about what is happening in Africa, spend time praying for the specific needs of people. Pray that as these Scripture booklets go in to reach a great number of people, that there would be transformation through God’s Word. Pray for the shipments to arrive and be processed quickly and successfully so that the distribution can take place. Williams says you can also pray for a couple of trends taking place at their headquarters. Sickness and machine trouble have been popping up. Ask God to protect the team, to keep them healthy, and for the machines to continue to function correctly so that there is no stemming of God’s Word going out among the nations. You can also help financially. If you’d like to support the printing and shipping of World Missionary Press Scripture booklets, click here.